Last month, our friends and families came together at the Stefanie Spielman Comprehensive Breast Center for the 4-mile run / 1-mile walk. In 1999 Chris Spielman established the fund in honor of his wife. 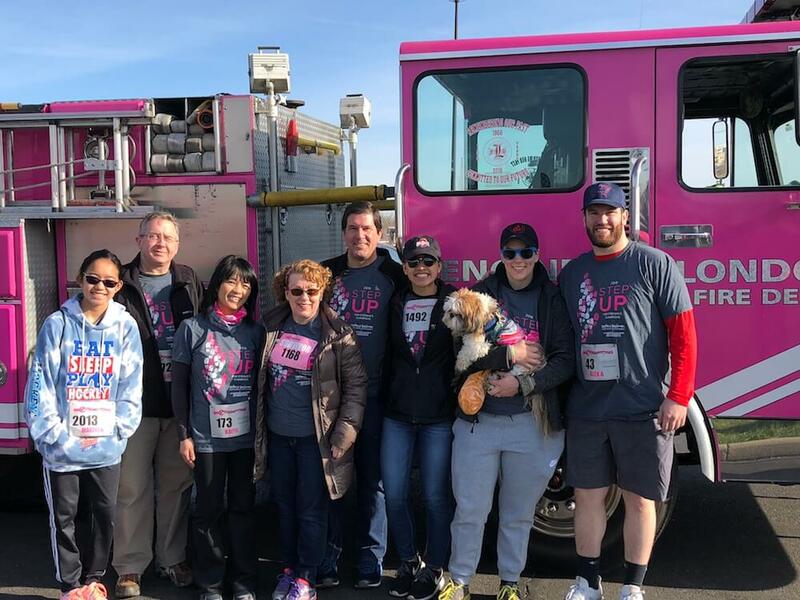 All the funds raised by Step-Up for Stefanie go towards breast cancer research at Ohio State’s Comprehensive Cancer Center as well as the James Cancer Hospital and Solove Research Institute. This year eyes were set on getting a Stellant® Injection System. This system works with current Spielman Center equipment to enhance the visualization of cancer cells through various imaging processes, like x-ray, tomography and MRI, to increase the accuracy of detection and better interpret mammograms. This year unfortunately we were not able to top the record breaking year in 2017 where there were over 1,700 participants, 138 teams, and $100,000 raised. However, we were able to raise enough for the Stellant® Injection System. With our 889 team growing we were able to grow our efforts as well. This year 889 Global Solutions was the 5th largest corporate supporter taking part in over $50,000 raised for the battle against breast cancer.